Sicily’s northeastern coast and it’s fabulous cobalt-blue seas are the frame of the Unesco-protected Aeolian Islands. This little piece of paradise, a magical natural playground, offers fantastic thrills at every turn. Water-sports enthusiasts, swimmers, sailors and divers will feel at home in the stunning waters surrounding these islands, while trekkers and expedition-lovers will adore climbing the hissing volcanoes and trekking around here. 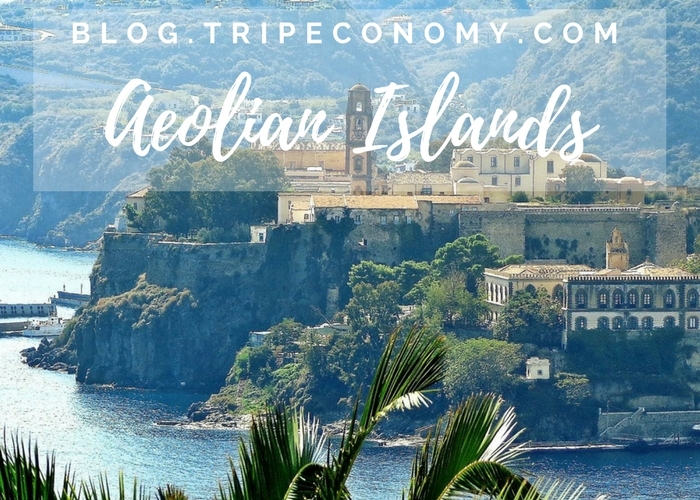 The largest and easiest to get to Aeolian island is Lipari and, of course, it is also the busiest. Compared to the other island in the archipelago, it may seem like a big city type of destination, but it can also represent a wonderful intro to the island life. This island is ideal for trekking. Many routes are available for tourists that are interested in discovering the island by foot, varying from easy to hard levels. Some of these routes are almost impossible to complete in the summer due to the heat. A short walk downhill can be done on the road from Quattropani to Acquacalda on the north side of Lipari. This can be done even during summer and takes about 45 minutes. 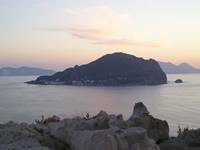 An interesting place to visit is the Museo Archeologico Regionale Eoliano – View A spectacular collection of artifacts recovered from archaeological sites in the Aeolian Islands. Many of these artifacts are from shipwrecks. More amphorae and burial urns than one might think existed in the modern world can be found here. Most exhibits have English-language captions. Salina is one of the most alluring Aeolian island, its main attraction being its natural beauty. The island welcomes its visitors with its steep mountains, covered in blossoming trees and wildflowers, the small villages speckled with olive and lemon groves, fig trees, and miles of terraced Malvasia vineyards. Enjoy Salina’s natural beauty, with its lustruous plant life and beaches, climb the Mountains and take a ride in the Salina relax boats. Plan your trip to Italy’s Aeolian Islands now! Stromboli is a must-see for anyone who is looking for a different type of vacation and just wants to avoid your typical lie-on-the-beach-drink-cocktails-visit-museums type of summer holiday. Nature lovers will want to climb the 900 m high volcano, which actually represents the whole island. The volcano is constantly active, and spews lava and rocks down one side of the island. The result is that there are two towns on the parts of the island that are unaffected by the lava flow; Stromboli (the main town) and the smaller Ginostra. You can walk freely up to 400m high on the volcano, but since 2005, the access has been strictly regulated. To walk higher, you need a guide. Of course, there are organised treks departing daily (between 3:30pm and 6pm, depending on the season). These treks will allow visitors to reach the summit (924m) at sunset and observe the crater’s fireworks for 45 minutes. The climb itself takes 2½ to three hours, while the descent back to Piazza San Vincenzo is shorter (1½ to two hours). You need to be prepared with the right equipment for this; if you don’t have it with you, you can find the necessary items on the island. Panarea is the smallest and most fashionable island in Italy’s Aeolian archipelago… and also the most exclusive and expensive. During the summer, the tiny harbour is filled with luxury yachts and many day-trippers that traipse around the car-free streets of San Pietro (the port and principal settlement). If you’re planning a trip here, find and book a bedroom with a terrace looking out directly over the sea, a swimming pool at the water’s edge and romantic waterfront views. Wind down and enjoy one of the most relaxing vacations you can have. Panarea is a wonderful place for a honeymoon or a romantic getaway with your loved one. Begin your days with breakfast on a terrace overlooking the sea, go on stroll along to the beach and enjoy the waves for a couple of hours. A picnic lunch by the beach, an afternoon by the pool, an “aperitivo” by the harbour and dinner on a restaurant terrace sound like the most amazing and relaxing things to do while on a trip to Panarea. Other islands worth mentioning are Filicudi, one of the prettiest and least developed of the Aeolian Islands, Laghetto di Fanghi – for the warm (28°C) mud that is considered an excellent treatment for rheumatic pains and skin diseases and Alicudi – for really getting away from crowds and noise, as this is the most isolated place you’ll find in the entire Mediterranean basin. Plan your perfect trip! Find the best hotel deals by searching through our complete list of hotels in Italy! Book your flight with TripEconomy and save money! Pack your bags and have the time of your life!